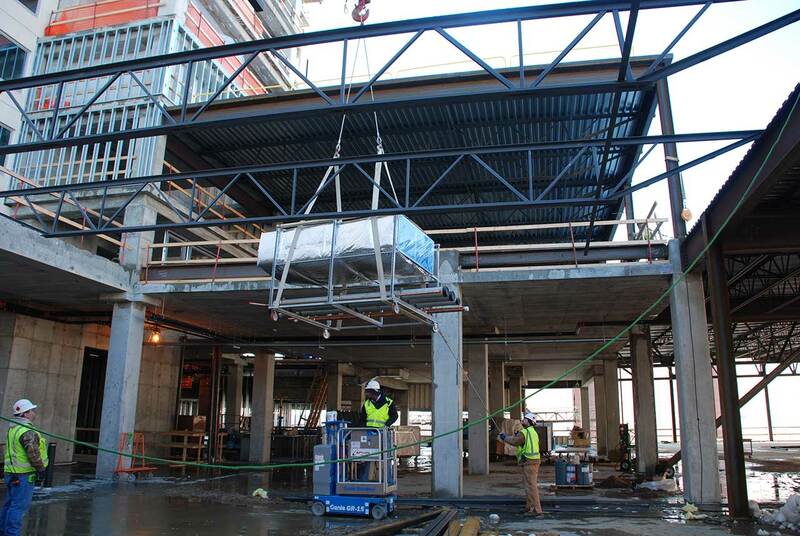 Mechanical, Plumbing, Sheet Metal Fabrication | Metropolitan Mechanical Contractors, Inc.
MMC has a strong corporate initiative to complete as much fabrication work off-site as possible. Our 50,000 sq. ft. prefabrication facility with state-of-the-art equipment located adjacent to the office helps bring this goal to reality. We are able to offer our clients sheet metal, plumbing, and pipefitting fabrication all done in-house. Being in control of production allows us to meet scheduling demands and our just-in-time material stock helps meet these requirements. 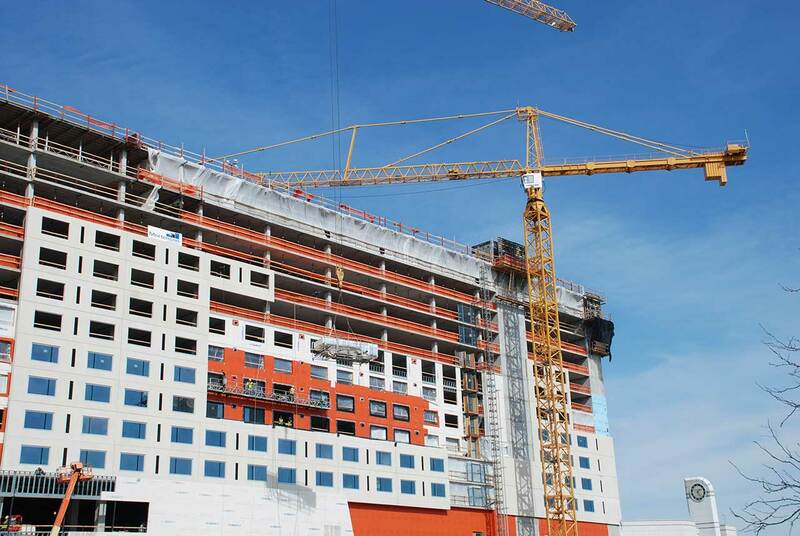 A strategy to take traditional off-site fabrication to the next level by collaborating with other disciplines and creating fully coordinated modules. 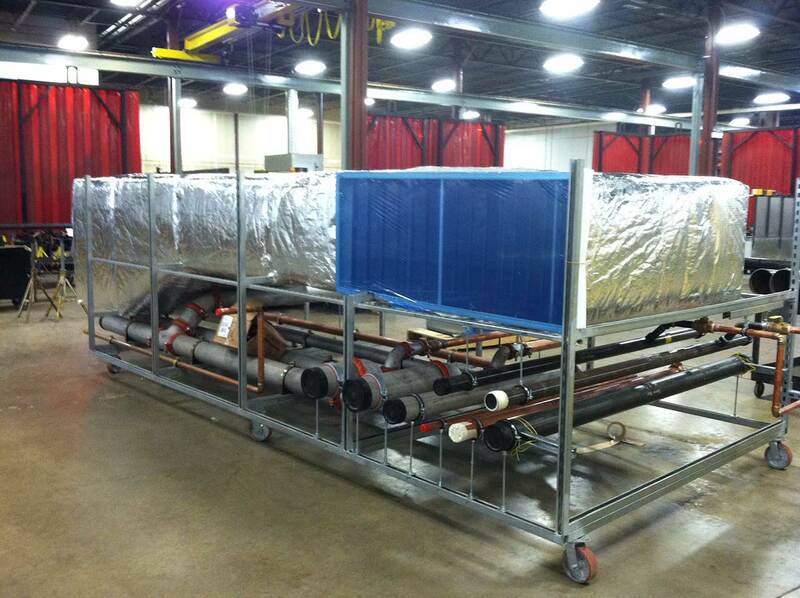 These modules can include plumbing, HVAC, piping, fire protection and electrical systems in one unit. In order to effectively produce these modules, the separate discipline needs to be coordinated. MMC leads this integration process and then partners with our sister company, Modulus MEP, for the actual production of the modules. 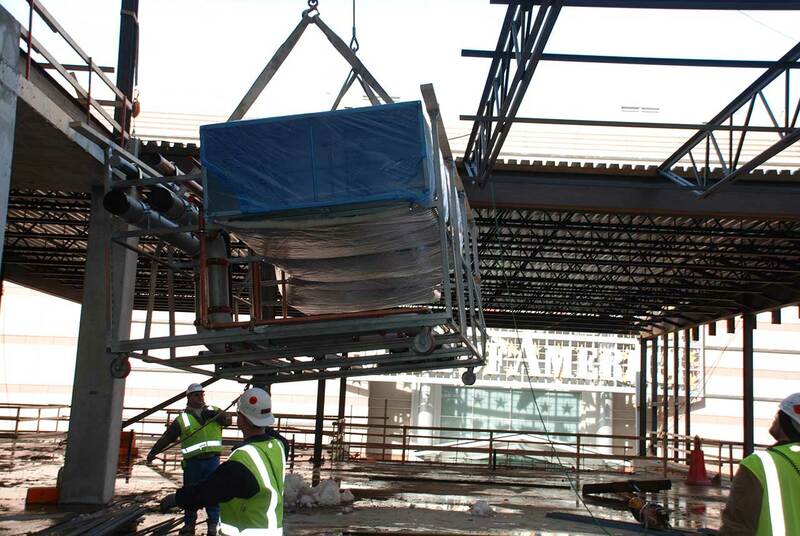 For more information on our prefabrication capabilities, contact us.